Romney Marsh, July 1940. When invasion threatens, you have to grow up quickly. 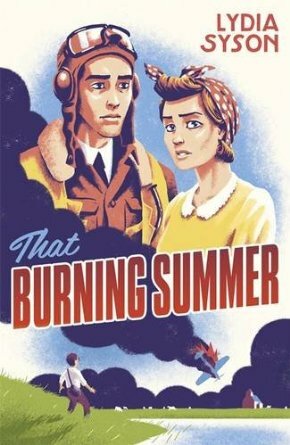 Sixteen-year-old Peggy has been putting on a brave face since the fall of France, but now the enemy is overhead, and the rules are changing all the time. Staying on the right side of the law proves harder than she expects when a plane crash-lands in the Marsh: it’s Peggy who finds its pathetic, broken pilot; a young Polish man, Henryk, who stays hidden in a remote church, secretly cared for by Peggy. As something more blossoms between the two, Peggy’s brother Ernest’s curiosity peaks and other secrets come to light, forcing Peggy and Henryk to question all the loyalties and beliefs they thought they held dear. In one extraordinary summer the lives of two young people will change forever. 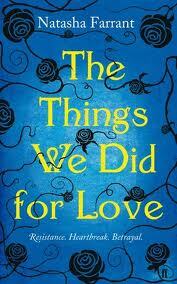 Categories: Coming soon, England, Romance, Social/Family, Thriller | Tags: Lydia Syson | Permalink. With Europe on the verge of war, Felix is on the verge of discovering love. But discovery means choice and she had to decide between logic and attraction, good sense and passion. As suburban London becomes a memory, Felix has to fight to survive. Not just the battles of the Spanish Civil War, but also the conflicts of her own heart. A passionate and exciting adventure story that explores the meaning of love and the power of choice. Categories: Coming soon, England, International, London, Romance, Social/Family | Tags: Lydia Syson | Permalink. 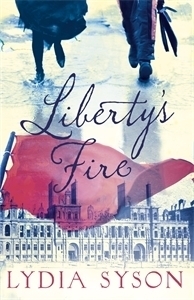 An exceptionally haunting love story set in occupied France. February, 1944. How can Arianne not be struck by Luc when he returns to the village of Samaroux after five years away? The two fall irresistably in love, under the jealous gaze of Romy and the protective watch of Ari’s cousin Solange. But in wartime, the choices you make always have consequences for others. As German forces surround the village, intent on vengence, the young lovers have to make some difficult decisions. What will they do for what they believe in? What should they do for love? And what, finally, is the price of resistance? Categories: International | Tags: Lydia Syson, Natasha Farrant | Permalink.